To satisfy your cravings you need to get up and do something about it...luckily I did and I was satisfied! 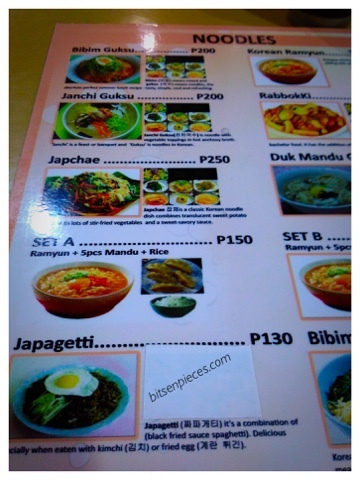 This is the newest Korean restaurant you can find in the heart of the city, the famous Magsaysay Drive. I saw this restaurant on my way home and looking from afar the inside was always not that busy. 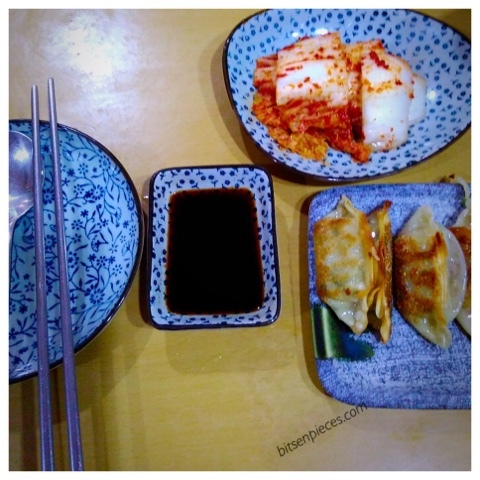 It just opened recently, and for a different taste of Korean food this is a must try. 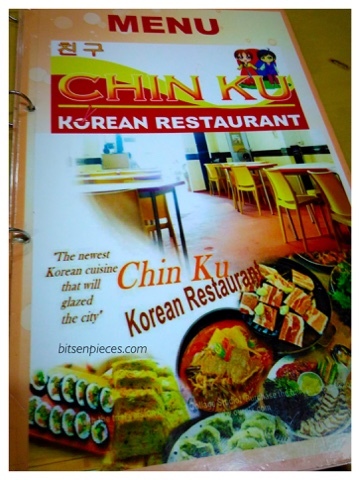 Chin Ku Korean Restaurant located at Magsaysay Drive in front of City Square Plaza. The restaurant facade is not the elegant and noticeable although they have a signage outside. Do not expect more of the inside, it's a typical not so fancy restaurant. Few tables and chairs from wooden to plastic monoblocks. But, I was here for the food so the inside was not that important to me at all. I ordered for Set A (Ramyun,5 pcs Mandu and rice) for Php150. Their food range from Php130- Php 1000 for single and good for 4 person meal. I will the Samyeopsal next time I visit. First, I was served with the fried Mandu and the dipping soy sauce and some kimchi. The kimchi was fresh it lacks time in fermentation but the spices really gave that kick in the kimchi. 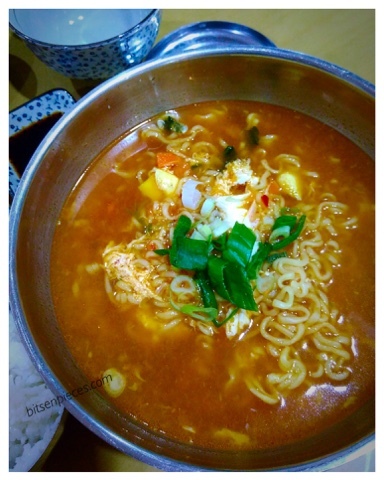 And, the main dish came after 15 minutes, a big bowl of hot Ramyun. Two people can share with this serving but if you're that hungry I bet you can finish this bowl. It also comes with a bowl of rice. Spicy ramyun in hot pipping soup with cracked egg and spring onions on top. I like the taste of the soup the spicy taste was just right, you can ask for additional chili sauce if you want to add more. 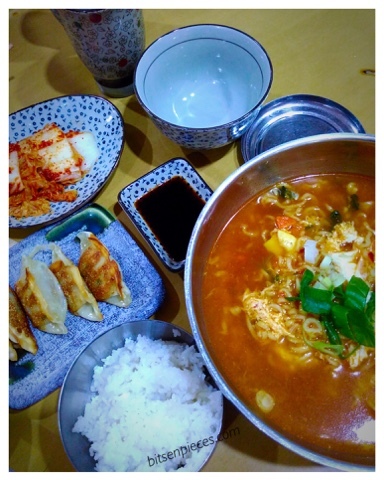 Next time you crave for something spicy and soupy check out Chin Ku Korean Restaurant. *** this is not a paid post, I paid for the food that was ordered.